In March of 2000 Carl and Kristina Perkins had a two year old child, a two month old baby, and a brand new digital printing business. Rhino Digital has been a family business ever since. 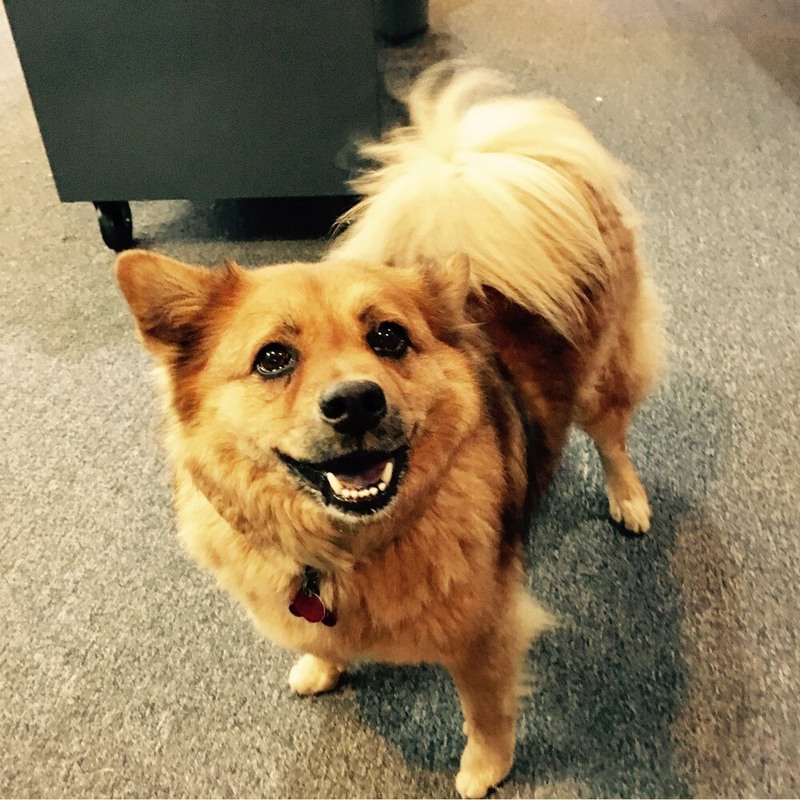 While that term usually means that a business is family-run, at Rhino it also means that everyone is treated like family – customers, employees, and of course the shop dog and floor manager, Bosco. “We started in a loft space above the J & M Café on SE Ash St., says Kristina, and we would sometimes lower small jobs in a large gift bag on a rope to clients down on the street to save them the climb up the stairs.” That personal touch has remained, even though the company now has a larger shop on SE Division and 12th Ave. Both Carl and Kristina have printing in their blood. Carl’s grandfather owned a newspaper in Leroy, NY and Kristina’s family has been in Portland for over 100 years. Her grandfather worked in printing until he was 86. Kristina brings a longstanding entrepreneurial spirit – she opened a daycare center, followed by an espresso cart called Steamin’ Sisters in the World Trade Center, then she went to school to become a massage therapist and started her own practice. Carl worked for Kinko’s before the FedEx acquisition, but wanted to do more high quality work. Today, Rhino still focuses on, and excels at, high quality, quick turn digital printing. “We see ourselves as problem solvers for our clients,” Carl says. It’s all about service to us. The company gives back to the community, too, offering generous discounts to local schools and nonprofits. 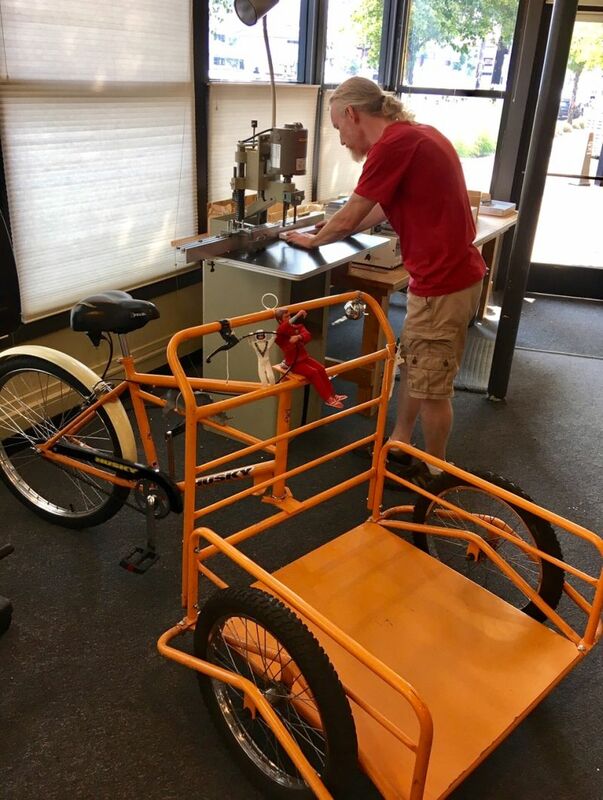 The company encourages biking and transit use, with Carl and Kristina providing examples: Carl regularly bikes into work while Kristina often walks. What do you get when you combine high quality digital printing, professional fast-and-right service, a company that cares for both clients and employees, and a touch of good old Portland hospitality?